Listed below is an update on some families we have been helping since our last report in February. Ten year old Taevon was originally diagnosed with optic glioma at age three. Last year, he was diagnosed with a second progression of the disease and received weekly chemotherapy treatments for an extended period. His mother was also treated for optic glioma, early in her life; since there is a genetic component to the disease, she passed it on to her son. This single mom had to reduce her work hours significantly to take Taevon for his weekly treatments. The Foundation paid four months’ rent for the family to help them get back on their feet. Prior to 3 year old Evelyn’s diagnosis of acute lymphoblastic leukemia, both of her parents were employed. Unfortunately, close to the time of diagnosis, Evelyn’s father was deported to his home country, leaving her mother as the sole caregiver for their ailing daughter. Treatment for female ALL patients is typically 2 and one half years in length and includes lengthy inpatient admissions and frequent outpatient appointments. In order to help support this family, the Foundation has paid rent and utility bills. Ryan was diagnosed with acute lymphocytic leukemia in June 2018. Because the initial treatment plan for the seventeen year old did not obtain complete remission of his leukemia, he and his family needed to travel to another hospital to undergo a different therapy regime. Ryan and his parents had to be away from home for a 6 to 8 week period to seek this additional treatment. Ryan’s mother was able to take time from work and still keep her position but his father is a self-employed contractor and suffered lost income because of his absence. The Foundation helped with mortgage and car payments during their time away from home. We were contacted about 16 year old Gabriela’s family late in 2018. She had been diagnosed with a rare cancerous tumor of the central nervous system and initially achieved remission. However, Gaby unfortunately relapsed and symptoms secondary to her tumor such as difficulty walking, blindness in one eye, poor balance and many other associated medical issues left her in need of a constant caregiver. Her parents adjusted their work schedules so they could care for their daughter but suffered the inevitable financial instability as a result. The Foundation paid several months’ rent and utility bills for the family. Sadly, we received news from the family’s social worker that Gaby’s condition worsened and she passed away on New Year’s Day. Seth is a sixteen year old teen who was diagnosed with bone cancer in his left leg. He will require surgery and a total of about twelve months of chemotherapy. At the time we got the referral for this family, Seth’s mother was in the hospital for knee surgery. Since she is a home health aide, her ability to work has been affected by her recovery and her son’s treatments. Both Seth and his mom live with his maternal grandmother. His dad is active in his life but is retired and on a fixed income. During this difficult financial period, the Foundation has paid utility bills for the family and continues to do so. 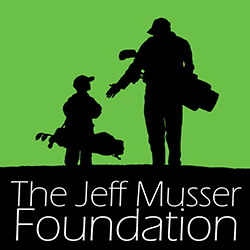 We continue to be able to offer assistance to the families referred to us because of your steadfast commitment to the mission of the Jeff Musser Foundation. On behalf of the families your contributions have helped, we sincerely thank you!